The day that we’ve all been waiting for is finally here, and the first ever college football playoff championship game will make history. It was a tough road for the Ducks and while injuries to multiple key players and an early season loss to the Arizona Wildcats caused some Oregon fans to throw in the white towel, that loss and those early season pessimists are long gone. The city of Eugene and the state of Oregon are preparing for the most anticipated game in Duck football history. Oregon and the Ohio State Buckeyes have met eight times since 1958. Unfortunately, it’s been a one-sided race: Ohio State has won all eight games. The Ducks, however, have only averaged a meager 8.6 points per game in those contests, and Oregon has never scored more than 17 points against Ohio State’s defense. The majority of those matchups took place in the 1960s, though, and the Ducks weren’t the high-flying machine back then that they are now. As far as experience goes, one might think that Ohio State has the advantage. The Buckeyes, after all, have won seven national championships, with the most recent title coming in 2002, and their head coach Urban Meyer is no stranger to success. The Ohio native won two national championships as head coach of the Florida Gators. Despite their recent success, the Ducks have never won a national championship. 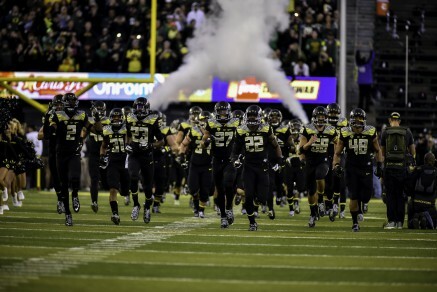 Oregon will look etch its name in the history books tonight. On the other hand, this seems to be new territory for Oregon, especially when you consider that the Ducks have never won a national title. 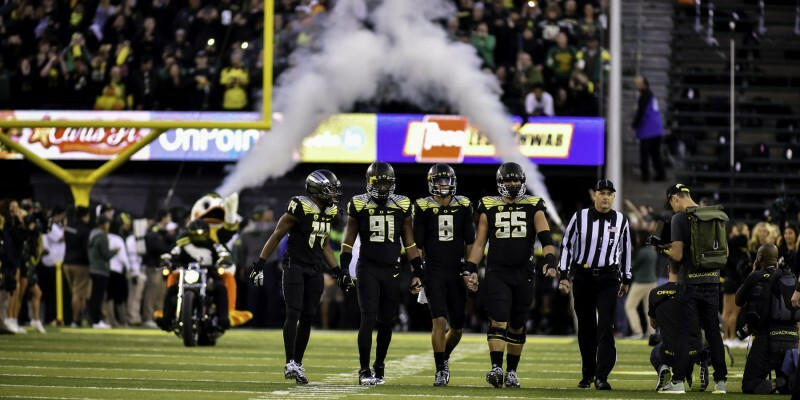 Of course, the Ducks last played in a national championship game in 2011, but they were considered underdogs against a talented Auburn team, and although Oregon’s 2010 season was great, 2014 has been unlike any other season that the Ducks have ever had. Not only did Marcus Mariota become the school’s first Heisman winner, but the Ducks also overcame numerous obstacles throughout the season, which, in the end, propelled them to their 12th conference title and to the inaugural college football playoff national championship game. At the beginning of the 2014 season, 125 FBS football programs had one goal in mind: the playoffs. But with only four spots available, the task of actually claiming one of those prized playoff slots proved to be easier said than done. Through all the blood, sweat, and tears, the Ducks are still standing. All the hard work, the practice time, the time spent in the weight room, and the time spent leaning on each other for support has come down to one final game. This is the moment that Oregon has been waiting for; This is Oregon’s opportunity to “Win The Day” one last time.